I keep booking travel. And making decisions. But my body and brain are resistant (LIZARD BRAIN DOESN'T WANT CHANGE). In Saigon I would hit snooze 2-4 times each morning. And although my work doesn't require me to stay in any one location, I stayed there for 2 months (aside from a short vaca in Phu Quoc with Maggie). During my time in Saigon, I lived in 2 apartments and chose to work in the same coworking spot almost every day. Building some consistency helped me normalize after the combustion I created when I broke up with my ex. saving the planet. one coffee at a time. Enter a new Twitter-friend, Flystein. A crew of travel hackers who (for a small fee) work with your miles and travel checklist to build out a shockingly affordable package. These guys came and visited me one day at Dreamplex and we had a chat about where I would wander off to after Vietnam. 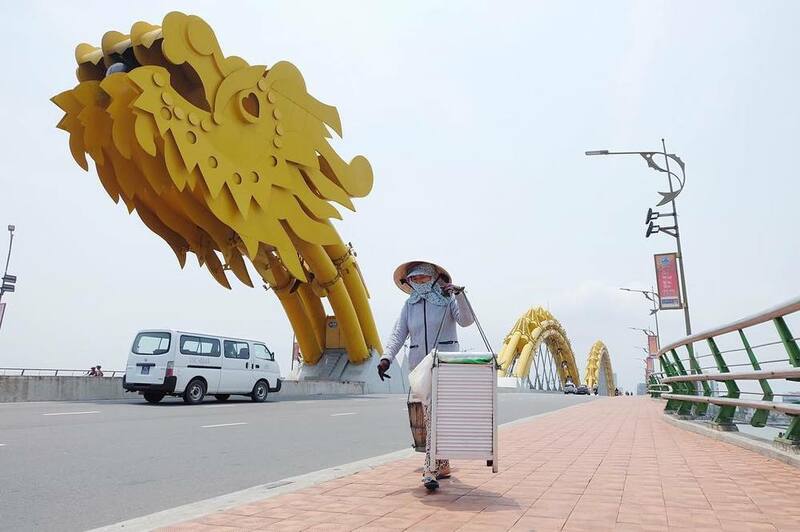 They recommended I try Da Nang before I leave, so I promptly booked a flight for $46. Easy. But still, no plans to leave this country. With no real intention in mind, I logged into Flystein and casually entered details for Europe. In under an hour, I had custom itinerary to get to London for $22. So I booked. And a flight to Faro, Portugal ($42). And a flight to Dalat ($51). And from Cape Town to Buffalo for Christmas ($220). It would seem I am now addicted to booking travel. I went to Hoi An and Da Nang last week. I'm typing from Hanoi ($35).... WHAT?! All this from the girl dubbed as "A dumb American traveler" from an ex not-to-be-named.